There’s something about parallel universes that is just downright mind-boggling. Maybe it’s the concept in itself or maybe it’s the disconcerting thought that some where out there you’re living a different life and you’re a completely different person. 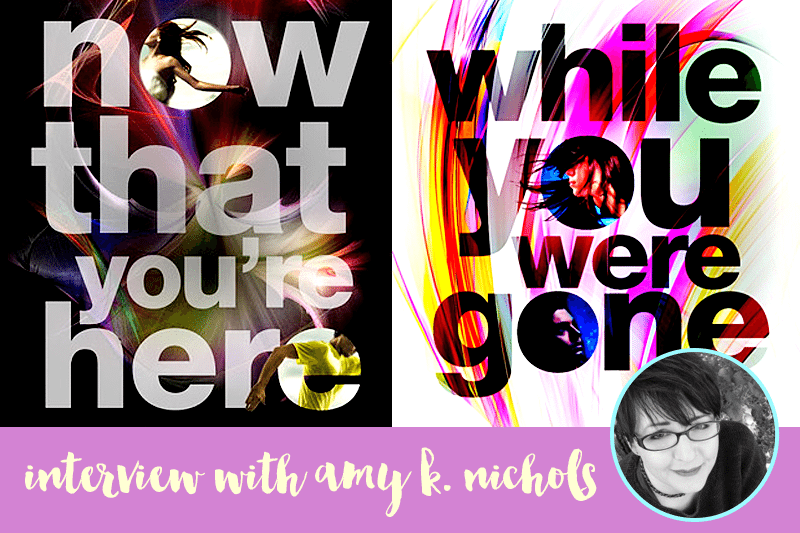 Today, I’m chatting with Amy K. Nichols, author of the Duplexity duology, on the blog about this and how her books, Now That You’re Here and While You Were Gone, tackle the idea of alternate worlds. Tell us about the Duplexity duology. What is it about, and how did you come up with the story? The Duplexity books are a parallel-universe duology that asks the question, If parallel universes exist, would you want to swap places with your parallel self and live in his or her world for a time? The first book, Now That You’re Here, tells the story of Danny Ogden, a boy who jumps from a parallel world to our world, where he discovers his alternate self is an orphan, a loner, and a loser. Eevee, a girl he recognizes from his world but who is someone altogether different, agrees to help him figure out how he jumped here and how to get him back home—though he’s not sure home is where he wants to be. The second book, While You Were Gone, tells the story of the alternate Danny and alternate Eevee. When Danny from book one jumps to our world, he displaces the Danny who lives here, sending him over to the parallel world. There he discovers his parents are alive, he has a best friend, and he’s pretty popular with the ladies. Suddenly he has the perfect life . . . except that he’s living in a surveillance state and society stands on the brink of collapse. He and Eevee end up working together to give it the final push, which causes reactions that affect both worlds. As far as where the idea came from, Eevee was a character from an earlier novel I’d written that ended up in a dark corner of my closet, never to see the light of day. Even though the novel was beyond bad, I liked the character and decided to write more about her. I started with a scene of her doodling in her notebook in English class when suddenly this boy in the seat next to her woke up, confused about how he got there. I didn’t know who he was or why he was confused, so I kept writing and it turned into Now That You’re Here. What were the challenges of writing While You Were Gone as compared to Now That You’re Here? The biggest challenge was making the timeline of While You Were Gone match up with the timeline of Now That You’re Here. Both books take place over the same couple of weeks but occur in parallel universes. There are crossover scenes between the books that give each Danny a glimpse of what’s happening back in his world. The storylines had to match up so that when Danny in book one sees something happen in his world, that same scene shows up in book two on the same day at the right time. It was tricky, to say the least, but also a lot of fun. Writing the second book was like solving a complicated puzzle. 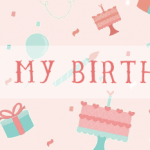 Which character from your books do you relate to most, and why? I relate to each of the characters on some level. Warren of NTYH for his unabashed nerdiness. NTYH Eevee for existing on the fringes. WYWG Danny for wanting to fit in. Of all the characters, however, I think I relate most to Eevee of While You Were Gone. She’s an artist searching for her voice and for the courage to use it. That’s something I’m always trying to do as an author, and I imagine it’s a common struggle among artists. I hope other creative types will identify with Eevee and be inspired by her courage, just like I was. In a parallel universe, what would Amy K. Nichols be like? I love thinking about this! When it comes to parallel universes, one theory states that when we reach decision points in our lives, our timeline branches and both outcomes exist as parallel worlds. If that’s true, then somewhere out there, holed up in a musty library reading room in England, is a medieval paleographer that goes by the name Dr. Amy K. Nichols. And that’s only one iteration of who I might be in the vast multiverse! It gives me goose bumps just thinking about it. Are you writing anything new? What should we look forward to next? I am working on a couple of new projects, including another mind-bendy science fiction story, which I hope to have exciting announcements about soon. Stay tuned! If the interview interested you in reading more about parallel universes, make sure to check out the Duplexity books! While You Were Gone releases August 4th, 2015 so there’s plenty of time to read Now That You’re Here before the sequel comes out! Do you like books about parallel universes? What would your alternate self be like? Brief but awesome interview! I think I’m gonna love these books because I’ve always been interested about the concept of a parallel universe. These books are interesting. It is the first time I’ve heard of “parallel universe”, but I always thought of what if something is happening that is different from what is happening to myself now. Now I know that it is parallel universe. Last week, my friends and I were talking about the possibilities of such thing and reading this makes me so curious and interested in it. Nice interview by the way. Two thumbs up! Great interview!! Thanks for putting these books on my radar :) They sound so interesting and I think the covers are beautiful! As a fan of the first book of the series, I loved the interview! I really can’t wait to read this one, because I’ve been collecting books on alternative universes for a while now, and the first one was so much better than all of the other ones I’ve read so far! It’s crazy how you can escape your present self and visit yourself in another world! 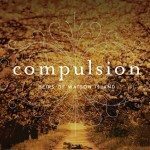 The premise of this sci-fi fic is enough to make me want to read it!